Remembering the innocence of your childhood, the freedom that you had in playing all day around and the chocolates and candies that you were eating are certainly part of your wonder years. This is when the important stages of memory development takes place. But how are these images accessible to you even in ones adults’ years when individuals have difficulties in memorizing things. Well these images are accessible to you through the process of memory development which includes both the utilization of long term memory and short term memory. Obviously these images are accumulated in your mind from which you can access the large database of your brain. But this database is infinite, as unlike computer systems that have standard data storage capacity, the brain has an infinite amount of data storage where we memorize things. In fact the study of the brain other wise called neurology has found out new mechanisms of how memory functions in the brain. Memory is the capacity to store, retain and retrieve information; your ability to do this is based upon both your long term memory and short term memory. These three processes are essential to follow each other in succession for efficient memory development. Unlike other organisms humans have a more complex brain structure which provides us the capability to accomplish complex tasks through the learning that we have inherited. This learning is accessible to you through the information that was stored in your mind which is imperative to memory development. It might just seem a split of a second to remember somebody’s name but your neurons have responded to the immediate demand that your brain had made. That split second is the result of complex memory functions that your brain has undergone to recall that name. Neuro science has found that processes of short-term memory and long-term memory (episodic memory) as the main types of memories. Now while retrieving your friends name as it was discussed above, does your brain use short-term or long-term memory? Obviously-long term memory as the name of your friend that you are trying to retrieve has been constantly revised through your brain which has led to the name being stored in the long term memory. With this description of the mechanism of memory development it becomes imperative to elaborate as to how the short and long-term memory actually functions. First, your senses absorb all the physical stimulations that you acquire in terms of sight, smell, tactile and other senses. This registration of sensory memory in the brain is very important so as to differentiate between the different stimuli that the brain receives. Photographic memory is in fact registered through the sight and its capacity to retain itself depends upon how long you have given attention to the stimulus. Once the sensory memory is registered in the brain it depends on how much attention a person pays to the sensory information so that now it can be registered in the short term memory which will augment memory development. The short term memory stores information if sensory information has been rehearsed by the brain – a key component of memory development. Individuals do not feel the effect of the information that is remembered as this information is not properly rehearsed. 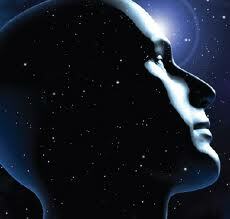 Therefore memory development is one of the most dynamic aspects to configuring an effective mind. It is the basis through which people gain consciousness without which one will not live a positive and happy life. You are currently browsing entries tagged with hair extensions at Love by design.